On the evening of Friday 23 May we presented ‘Blockages in the system: health research in postwar Britain’ to an audience of around 30 people in UCL’s Bloomsbury Studio. Positioned between two presentation screens, showing in bright Technicolor a journey through the streets of London in the 1950s, the audience sat in two long rows as if they were journeying on a classic Routemaster bus. Our presentation explored links between good physical health and exercise, discussing the bus men study conducted by Jerry Morris (1910-2009), Emeritus Professor of Public Health at London School of Hygiene and Tropical Medicine and commonly referred to as the father of exercise epidemiology. Morris was the first to establish proof that the frequency and severity of heart disease was reduced among workers who did more active jobs, having reached this conclusion in the late 1940s by conducting an innovative and efficient ‘experiment’ that studied the behaviour and indicators of physical health in several thousand London Transport employees; particularly focusing on health differences between bus drivers and conductors. Our study of Morris also sought to position his work within the wider context of postwar London, showing that his research on the health of London transport workers was a product of its time and is an interesting example of broader changes in how ‘experts’ were understanding and explaining human action and behaviour. 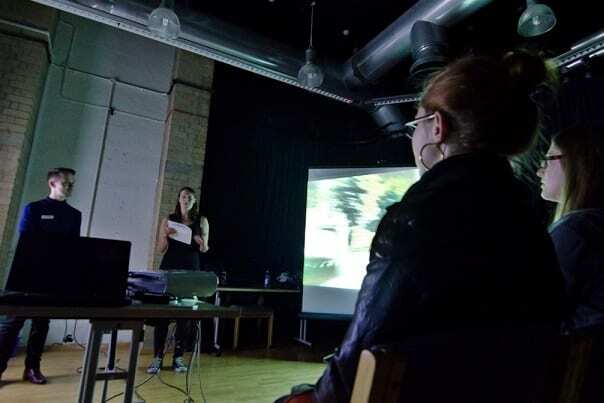 In this blog post we will discuss the process of developing our presentation for Movement, focusing particularly on our experiences of working with a PhD researcher from another discipline. 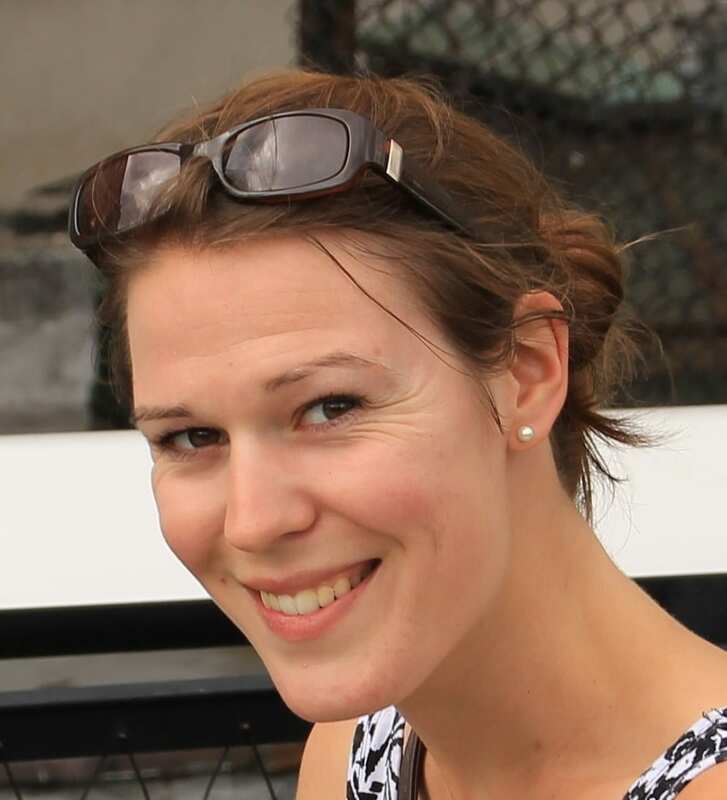 Ruth Blackburn is based in the Department of Primary Care and Population Health and her research explores the prevention of heart disease and stroke in people with serious mental illness. 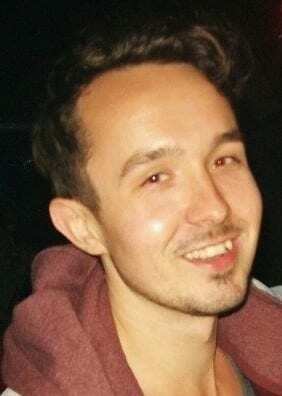 Kevin Guyan is based in the Department of History and is currently exploring the role of ‘expert knowledge’ in how ideas of gender and domestic space were understood in London during the 1940s and 1950s. It is hoped that by looking back on the process of developing our presentation, we will be able to share the benefits of this approach with other researchers who are also considering developing a project that crosses different backgrounds and knowledge-sets. However, we will also identify difficulties encountered in our project and limitations that we feel can hamper this inter-disciplinary style of event development. ‘Blockages in the system’ grew organically from discussions over possible links in our PhD research. The paradigm with which each of us viewed Jerry Morris and his work was very much a product of our training and academic disciplines. Numerous pages of ideas were exchanged in an attempt to fathom cross-over points between Jerry Morris’s epidemiological study of London Transport Workers and notions of expert knowledge in postwar London. Throughout this process, we both had a sense that similarities were present, yet also did not wish to elevate themes that were overly tenuous. A series of meetings with staff working across the university were instrumental in helping us to streamline our ideas and bring in more material from UCL Collections. Each of these meetings highlighted both the expertise and enthusiasm of the Museums and Collections staff and the epic proportions of UCL Collections. Our first meeting was with Krisztina Lackoi, Research Co-ordinator for Museums and Collections, who introduced us to a breadth of ideas, people, objects and spaces that we would otherwise not have considered – we left feeling enthused by the project but overwhelmed by the wealth of material available. Ruth’s notes record an eclectic list: circuit boards, walking sticks, space science laboratories, model boats, nuns, bicycles and ice skates; each representing a few tentative steps down a primrose path. After some deliberation we decided to add a ‘Lost Property’ strand to our presentation, and felt that RJ Berry’s mice (Grant Museum) and the Counting Gloves of Francis Galton (Galton Collection) were fitting objects to focus on. At present, Berry’s mice are not on public display so Mark Carnall, Curator at the Grant Museum, kindly arranged for Ruth to visit the Grant Museum’s storage facilities and explain what is known about the specimens. Ruth was struck by the incredible number of specimens (around 8000) collected by Berry and the difficulties in storing, researching and using this kind of collection: another possible avenue for exploration emerged, but as yet remain untapped. Our final meeting with Subhadra Das, Curator UCL Teaching and Research Collections, confirmed that Galton’s Counting Gloves were also well suited to our event and was able to provide additional information on their use and history. She also volunteered to accompany the Gloves to Movement so that our audience were able to see them first hand (no pun intended). Bringing our viewpoints and expertise together was an enriching and enjoyable experience, although the struggle to find mutually acceptable terms did often prove challenging! It became clear, in the process of drafting our script, of the need to simplify our respective terminologies when sharing work with people beyond your own field. An early draft from Ruth was peppered with references to ‘epidemiology’; after his first reading Kevin explained that it should not be assumed that this term (common to those working in Ruth’s field) would be understood by the audience. This resulted in the addition of a brief ‘introduction to epidemiology’ that ensured everyone was fully aware of the terms being discussed in the talk. Similarly, an attempt by Kevin to frame Jerry Morris as an example of a postwar expert increasingly interested in the actions and behaviours of the individual perhaps failed to accurately reflect his life’s work, as he was, above all, a scientist rather than a political thinker. With a limited knowledge of Morris’s work and even less knowledge of the development of epidemiology in Britain in the 20th century, Kevin’s judgement of Morris was refined by the presence of a second pair of eyes that were better educated in the history of science, and thus this description of Morris was suitably diluted. Working as a Postgraduate Student Engager routinely involves identifying across three distinct interstices: firstly, confidence in your own research and an awareness of its wider links to other fields; secondly, identifying links between your own research and the work of other engagers; thirdly, finding connections between these shared research interests and material from UCL Collections. It is admittedly a challenge to satisfy all three components and you do often question why you are making life more difficult for yourself, surely it would be simpler to speak about your own research in isolation. However, this is not the nature of the Postgraduate Student Engagement Project and having this push factor, forcing you to question the wider relations of your work, is undoubtedly beneficial. 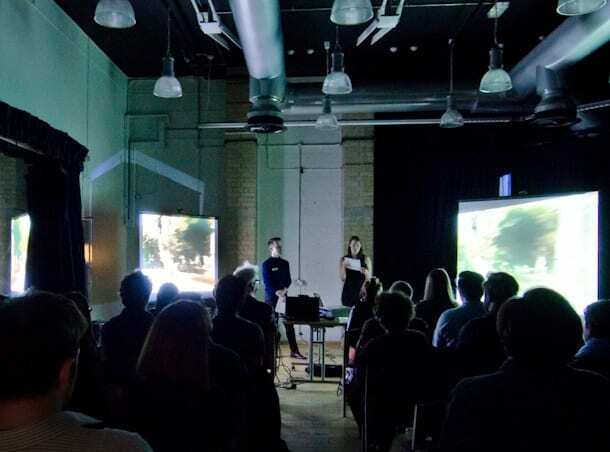 As with a previous Postgraduate Student Engagement event, Landscape, one approach followed is to identify a broad arc under which the public can enjoy samples from across the engagers’ disciplines. The process and merits of developing an interdisciplinary event are broadly analogous to those arising from public engagement. At the most basic level, both serve as a delivery tool for feeding back research ideas and results to stakeholders including the public. But the benefits reach further than dissemination alone; they allow researchers to identify new and unexpected connections by entering into a dialogue with people with different experience and perspectives. Furthermore, this process of sharing ideas with people who are unfamiliar with our own field (and the associated “assumed knowledge” and terminology) forces us to change the way that we present information, which ultimately results in a deeper understanding for both parties. Looking beyond ‘Blockages in the system’, what will we take from this experience and apply to how we develop projects, both within and beyond our respective disciplines, in the future? As PhD researchers, it is common to find ourselves only presenting our work to those working in the same field. However, with the impact demands of the Research Excellence Framework the ability to share what we do with those not academically involved in the field is a key requirement of future researchers. An interdisciplinary approach is certainly not the path to follow by those looking for quick and easy results. However, with the right type of support and the provision of ample time (planning projects always take longer than expected) exciting research projects can undoubtedly be developed. This taster is from a larger presentation, Blockages in the system: health research in postwar Britain, which forms part of the Student Engagers’ Movement event taking place at UCL on Friday 23 May. What follows is a sample of the interdisciplinary work by PhD students Kevin Guyan, Department of History, and Ruth Blackburn, Department of Primary Care and Population Health, linking their interests in 20th century British history and health sciences. Movement will also relate these ideas to objects from UCL Collections as well as giving attendees an audiovisual experience of travelling on a London Routemaster bus. The links between good physical health and exercise have only relatively recently been established. In the postwar decades there was particular interest in investigating heart disease: an increasingly common ailment with causes that were poorly understood at the time. 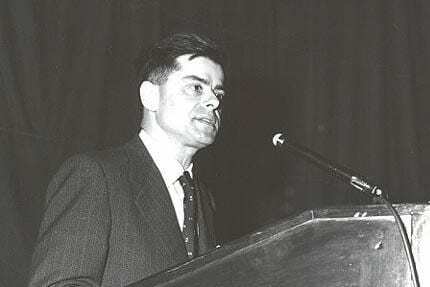 Jerry Morris (1910-2009), Emeritus Professor of Public Health at London School of Hygiene and Tropical Medicine and commonly referred to as the father of exercise epidemiology, was the first to establish proof that the frequency and severity of heart disease was reduced among workers who did more active jobs. He made this discovery in the late 1940s by conducting an innovative and efficient ‘experiment’ that studied the behaviour and indicators of physical health in several thousand London Transport employees; particularly focusing on health differences between bus drivers and conductors. The selection of the two study groups was critical for the success of the experiment. This is because the bus drivers and conductors were very similar groups of people in most respects (e.g. age, socio-economic status and diet) but differed in terms of the amount of physical activity that was undertaken whilst at work. 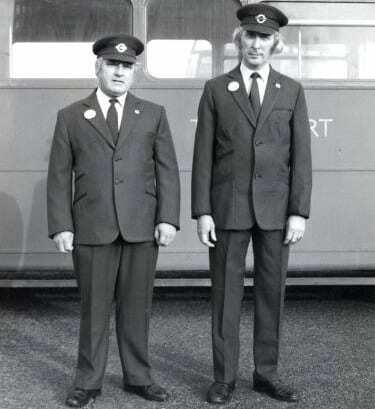 By studying differences in the rates of cardiovascular disease between these two groups the ‘bus men study’ showed that the additional physical activity that bus conductors undertook whilst at work was associated with a 50 per cent reduction in heart disease. This finding was the first real evidence to demonstrate that being more active brought substantial health benefits and highlighted the importance of exercise as a public health intervention. It is now time to position Jerry Morris’s study within the wider context of postwar London, showing that his research on the health of London transport workers was a product of its time and is an interesting example of broader changes in how ‘experts’ were understanding and explaining human action and behaviour. The decades following the Second World War experienced a widening of ‘expert knowledge’, particularly within fields linked to the physical and social health and well-being of citizens. The esteem of qualities associated with experts also underwent a shift: moving from the predominance of highbrow cultures (for example, the humanities) to also include masters of science, skill and technology. This period was witness to the rise of the scientific and technical expert. The belief that experts were striving for a ‘New Jerusalem’, a utopian ideal removed from the realities of postwar austerity, often distract discussions of British planning. However, there was undoubtedly a political dimension to these projects, reflecting the politics of the Left, Fabianism and the Labour Party. It is not coincidental that Morris was a Socialist and championed the need for state intervention to improve the welfare of the population throughout his life’s research. In his work, the line between science and politics is often blurred – expressing the view that positivist forms of science work in tandem with socialist principles. In this political vision of a New Britain, the rational and modern nation would require the successful management of health and disease. Morris and his expert knowledge of epidemiology would therefore position him as a central figure in this imagined future. This interest in the political led to what is arguably the most interesting development in his work: his definition of the individual. Morris did not focus on moral deviancy or communities positioned on the edge of society; nor, in his ‘bus men study’, was his primary focus the influences of class or social situation. Instead, his chief research interests were individual actions and ways of living, removed from their social and economic contexts. By moving the focus of one’s likelihood to encounter disease away from social class or community and instead considering the activities that individuals perform, although throughout his life’s work Morris was deeply interested in how socioeconomic factors affect the activities people perform, the ‘bus men study’ differed from the approach of scientists before him. Importantly, the fluid nature of modern life was also acknowledged and the need to view subjects as ‘changing people’ operating in changing social environments. As experts grew more willing to challenge the influences of social class and instead consider the complex effects of social and biological relations, ‘ways of living’ emerged as a primary factor in the study of health and disease. The offshoot of this finding was groundbreaking: a call for the reform of everyday lifestyles. With this conclusion, Morris’s ‘bus men study’ should not only be viewed as a key text in epidemiology but also as part of a wider shift in 20th century Britain over the role of scientific expertise and definitions of the individual. With 2013 now a thing of the past, I find myself reflecting on my progress over the last 12 months, which have taken me from fledgling PhD student to recently “upgraded”. For the uninitiated, the Upgrade process is the gateway from MPhil to PhD student and marks one of the few official milestones between starting and submitting a PhD thesis. The format of this assessment varies between departments but may comprise; a report of up to 10,000 words, a departmental seminar and question time (an hour or so), and a viva with examiners. At first sight, this is a daunting process with excellent potential for awkward questions, awkward silences and total demoralisation. However, I am not alone in finding the upgrade a useful and highly positive experience; a quick (and totally unscientific) survey of my peers tells a similar story. These post-upgrade students are utterly upbeat about their experience, they describe it as the perfect opportunity to “take stock” of the whole PhD, see where it is going and to focus and refine your work with advice from your peers and examiners. However, they do concede that you can be asked about ANYTHING (that can be vaguely related to your work) and that defending your work is essential. These sentiments are strongly reminiscent of my experiences of being a Post-Graduate Student Engager; since spring 2013 I have spent time in each of UCL’s three extraordinary museums and conversed with an incredible range of people about all aspects of my research as well as the collections that they have come to visit. We (The Student Engagers) often receive feedback about the benefits of engagement to the public or at institutional level, but only occasionally is the benefit to ourselves discussed. Number 1: Clarity of thinking – there is nothing quite like discussing or teaching someone to help distill your ideas and identify gaps in your knowledge. Furthermore, discussion with people who are not familiar with your area of work necessitates dropping much loved jargon for plain English. But unsurprisingly, this can lead to benefit Number 2. Number 2: Being challenged. Far from being a bad thing, well-directed questions and real-time feedback can be entertaining (essential for successful engagement!) and educational for both parties. Number 3: The Randomness Factor. Not to be underestimated, chance encounters can have surprising implications for research. This includes everything from meeting someone who works on a related topic to discussing what “life” or “mental health” or “a museum” actually is. In my experience it is often these off-topic conversations that build the trust and rapport needed to probe further into your area of research, and what this means to different people. Number 4: Greater perspective. Talking to anyone for long enough invariably breaks down barriers, allows us to see the world through another person’s eyes and can renew interest in our own work. 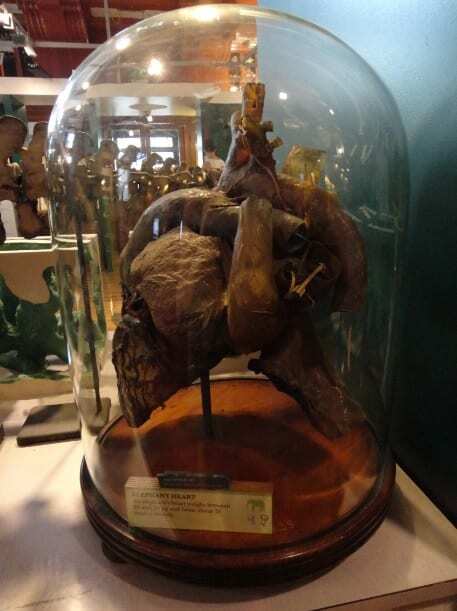 I have experienced each of these benefits when using the Elephant Heart in the Grant Museum of Zoology to discuss my research (on the prevention of cardiovascular disease in people with severe mental illness). This grand specimen appeals hugely to children and adults alike and has sparked conversation with curious (and impressively knowledgeable) nine year olds, A and E doctors and artists from the Slade. The scope of conversation is huge; “what does a heart do?”, “is it real?” (it is), “can elephants get heart disease”? (they can), and ultimately discussion of my research, including why heart disease and mental illness so frequently affect the same individuals. Researchers are particularly susceptible to becoming so entrenched in their own work that the broader meaning and application can become lost. Public Engagement provides an ideal platform for enriching research and public interest in it, and I would encourage everyone to give it a go.